The real life El Patron’s execution at the hands of the Columbian police proved opportunistic for his many enemies, and this will be reflected in the upcoming season. In newly released behind the scenes footage, actor Pedro Pascal, who plays Agent Pena in the show, explains the difficulty of dealing with huge scale dealers: ‘cut the head off a snake, three more appear, in this case four, and [now] the teeth are sharper’. This next chapter will see four powerful kingpin figures fight for the top spot in the Cali Cartel; Gilberto Rodriguez Orejuela, Miguel Rodriguez Orejuela, Pacho Herrera and Chepe Santacruz Londono. Tensions will rise, and a hell of a lot of money will be made. These men operate very differently to Pablo, and their ambition is unstoppable. This season will reportedly see the Cali Cartel branch out beyond Columbia, becoming a truly global enterprise. The police thought with his death they had rooted out the influence of Pablo Escobar, but as we will see, his legacy stretched on long after. 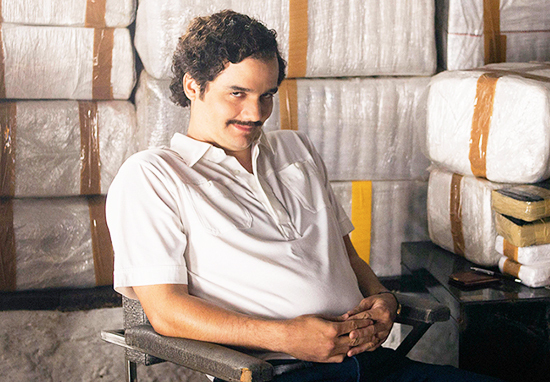 Netflix will release all episodes of Narcos Season 3 on September 1. Our blood is already boiling.